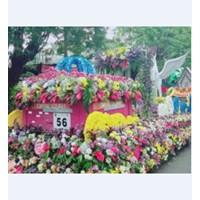 Natalia Florist Selling Decorative Flowers for a variety of needs such as decorative wedding cars, decorative pick-ups, circumcision decorative cars, decorative cars, decorative carnivals and various other decorative car needs, we can serve according to the desired model and shape. Marriage is the most important phase of life and everyone wants to make it an unforgettable moment. Car Decorative Flowers for brides are heads between weddings to register. If you are looking for the same thing, then without thinking further, keep holding on to Natalia Florist. We Sell Decorative Flowers, choosing Natalia Florist for your wedding car decorative flowers will give you a greater variety of flowers at lower prices with minimal duration on the job. Bridal cars are not the main thing, but also does not matter if you want a perfect wedding with the bridal car decorated with flowers that you like. We sell car decorative flowers which in general, this wedding car ornamental flower is used on the bride's vehicle when the two couples go to the aisle or when they go home. With this decoration, of course the bride's car will have its own memory in your memory, how exciting the moments of your moment when you are married to your partner. Decorative Car 7Decorative car with a variety of beautiful flower and attractive flower. The ornamental flower of a car is an ornamental flower arrangement used to decorate a car. 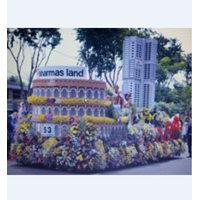 This type of ornamental flowers are widely used for certain occasions such as carnivals or anniversaries of independence.Natalia Florist Is an Online Flower Store Established Since 1995, located in surabaya, we are engaged in florist, we are ready to serve all kind of Flower arrangement and ready to serve you 24 hours on time. We have a commitment to always provide the best service for you, We Serve For Java Region Bali.We hire experts in florist field who are experienced in Flower Decoration, so that the end result of work perfect and satisfy the customer. Hopefully we are given the opportunity to prove directly to you to do what you need.Happy Shopping At Our Online Flower Shop, Please contact our CS for details. Decorative Car 8Decorative car with a variety of beautiful flower and attractive flower. The ornamental flower of a car is an ornamental flower arrangement used to decorate a car. 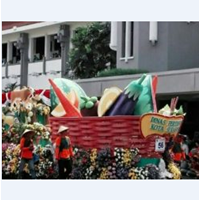 This type of ornamental flowers are widely used for certain occasions such as carnivals or anniversaries of independence.Natalia Florist Is an Online Flower Store Established Since 1995, located in surabaya, we are engaged in florist, we are ready to serve all kind of Flower arrangement and ready to serve you 24 hours on time. We have a commitment to always provide the best service for you, We Serve For Java Region Bali.We hire experts in florist field who are experienced in Flower Decoration, so that the end result of work perfect and satisfy the customer. Hopefully we are given the opportunity to prove directly to you to do what you need.Happy Shopping At Our Online Flower Shop, Please contact our CS for details. Decorative Car 5The ornamental flower of a car is an ornamental flower arrangement used to decorate a car. 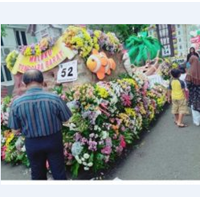 This type of ornamental flowers are widely used for certain occasions such as carnivals or anniversaries of independence.Natalia Florist Is an Online Flower Store Established Since 1995, located in surabaya, we are engaged in florist, we are ready to serve all kind of Flower arrangement and ready to serve you 24 hours on time. We have a commitment to always provide the best service for you, We Serve For Java Region Bali.We hire experts in florist field who are experienced in Flower Decoration, so that the end result of work perfect and satisfy the customer. Hopefully we are given the opportunity to prove directly to you to do what you need.Happy Shopping At Our Online Flower Shop, Please contact our CS for details. Decorative Car 6The ornamental flower of a car is an ornamental flower arrangement used to decorate a car. 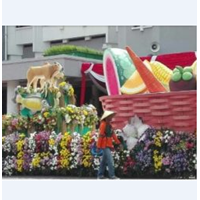 This type of ornamental flowers are widely used for certain occasions such as carnivals or anniversaries of independence.Natalia Florist Is an Online Flower Store Established Since 1995, located in surabaya, we are engaged in florist, we are ready to serve all kind of Flower arrangement and ready to serve you 24 hours on time. We have a commitment to always provide the best service for you, We Serve For Java Region Bali.We hire experts in florist field who are experienced in Flower Decoration, so that the end result of work perfect and satisfy the customer. Hopefully we are given the opportunity to prove directly to you to do what you need.Happy Shopping At Our Online Flower Shop, Please contact our CS for details. Buat Permintaan Untuk "Ornamental Car"
Decorative Car 3An ornamental car is a car that is tailored using a range of flowers.This type of ornamental flowers are widely used for certain events such as carnivals and Independence Day celebrations.Natalia Florist Is an Online Flower Store Established Since 1995, located in surabaya, we are engaged in florist, we are ready to serve all kind of Flower arrangement and ready to serve you 24 hours on time. We have a commitment to always provide the best service for you, We Serve For Java Region Bali.We hire experts in florist field who are experienced in Flower Decoration, so that the end result of work perfect and satisfy the customer. Hopefully we are given the opportunity to prove directly to you to do what you need.Happy Shopping At Our Online Flower Shop, Please contact our CS for details. Decorative Car 4This type of ornamental flowers are widely used for certain events such as carnivals and Independence Day celebrations. An ornamental car is a car that is tailored using a range of flowers.Natalia Florist Is an Online Flower Store Established Since 1995, located in surabaya, we are engaged in florist, we are ready to serve all kind of Flower arrangement and ready to serve you 24 hours on time. We have a commitment to always provide the best service for you, We Serve For Java Region Bali.We hire experts in florist field who are experienced in Flower Decoration, so that the end result of work perfect and satisfy the customer. Hopefully we are given the opportunity to prove directly to you to do what you need.Happy Shopping At Our Online Flower Shop, Please contact our CS for details. Ornamental Car 1The ornamental flower of a car is an ornamental flower arrangement used to decorate a car. 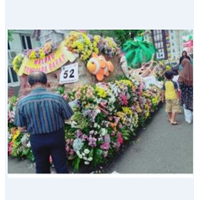 This type of ornamental flowers are widely used for certain occasions such as carnivals or anniversaries of independence.Natalia Florist Is an Online Flower Store Established Since 1995, located in surabaya, we are engaged in florist, we are ready to serve all kind of Flower arrangement and ready to serve you 24 hours on time. We have a commitment to always provide the best service for you, We Serve For Java Region Bali.We employ experienced experts in the field of florist, so that the final result of the work is perfect and satisfying the customer. Hopefully we are given the opportunity to prove directly to you to do what you need.Happy Shopping At Our Online Flower Shop, Please contact our CS for details. Ornamental Car 2The ornamental flower of a car is an ornamental flower arrangement used to decorate a car. 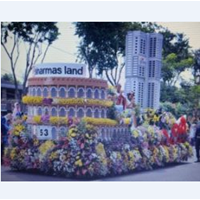 This type of ornamental flowers are widely used for certain occasions such as carnivals or anniversaries of independence.Natalia Florist Is an Online Flower Store Established Since 1995, located in surabaya, we are engaged in florist, we are ready to serve all kind of Flower arrangement and ready to serve you 24 hours on time. We have a commitment to always provide the best service for you, We Serve For Java Region Bali.We hire experts in florist field who are experienced in Flower Decoration, so that the end result of work perfect and satisfy the customer. Hopefully we are given the opportunity to prove directly to you to do what you need.Happy Shopping At Our Online Flower Shop, Please contact our CS for details. The ornamental flower of a car is an ornamental flower arrangement used to decorate a car. 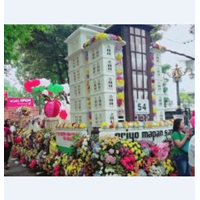 This type of ornamental flowers are widely used for certain occasions such as carnivals or anniversaries of independence. Before the flowers are strung together, we will design the design that is tailored to the event activities as well as the required size. The selection of interest is of course chosen in accordance with the wishes of the client, but we will provide the best interest recommendations to produce maximum results.The process of making ornamental flowers of this car requires a fairly long stages, the average production takes 3-4 days to adjust the difficulty and availability of interest selected by the client. The more difficult the design and the type of interest requested will affect the required manufacturing process.Car ornamental flowers composed by a professional workforce and qualified so that has a high artistic value. 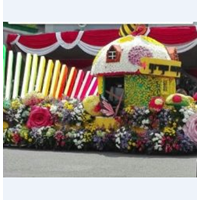 Flower Car DecorationThis ornamental flower is an ornamental flower arrangement used to decorate the car. 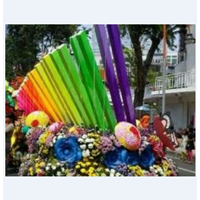 This type of ornamental flowers are widely used for certain events such as carnivals and Independence Day celebrations.Compiled by a professional workforce and qualified so that has a high artistic value. We also provide various kinds of Decorative Flowers and other wreaths on request.